The agreement, on request of the Deputy Major Severini, between Perugia Municipality and the Provincia di Perugia has been approved; it concerns the managing of the itinerary for impaired vision people, in Piazza Italia, Corso Vannucci, Nobile Collegio della Mercanzia (Merchants Guild), the Minimetrò station Pincetto. 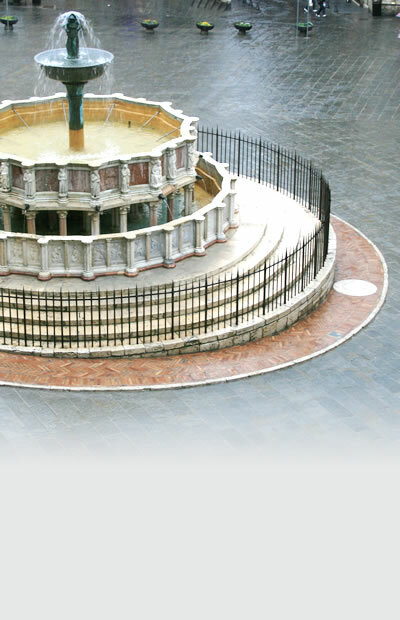 The project, co-founded by the Municipality and the Provincia of Perugia and by the Fondazione Cassa di Risparmio, has been implemented through the installation of a infrared transmitter system and little receivers (these last catches the infrared rays of the transmitters and enable the disabled tourists orienteering themselves and receiving historic and architectonic information). “The project of the partially sighted people route started before this present political administration, explained the Deputy Maior for Tourism and Culture Severini – but it will be well used also now, considering it a good opportunity and a significant tool to make most part of the historic centre enjoyable also to partially sighted people. It gets moreover a particular significance considering the fact that 2017 has been proclaimed by UN International Year of Sustainable Tourism and that in Umbria is strongly felt the necessity of enhancing tourism in general, today highly jeopardised by the earthquake that has hit our city”.